I have several SVG files and want to create one SVG file. According to their file, they all should have a size of 22x22 Pixels. 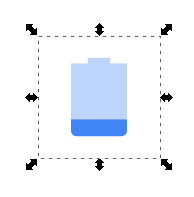 If I open one of those SVG files (or import it), there will be a rectangle with the size of 22x22 Pixels and the actual object (icon) will be smaller. So I suppose, Inkscape somehow deletes the white space surrounding the object. How can I achieve that when I import a SVG file, its size is actually 22x22 pixel? For example with this icon. Currently the icon has something about 10x14 Pixels if I import it. I checked the size in Inkscape. It is the page size which is 22px x 22px, but the object itself is only 10px x 14px. When you import the image into Inkscape, that is in fact the correct size. Inkscape isn't deleting anything when you import. There is no "white space". You are merely importing the 10xp x 14px object into a different sized page. Inkscape does not support multi-page documents currently. 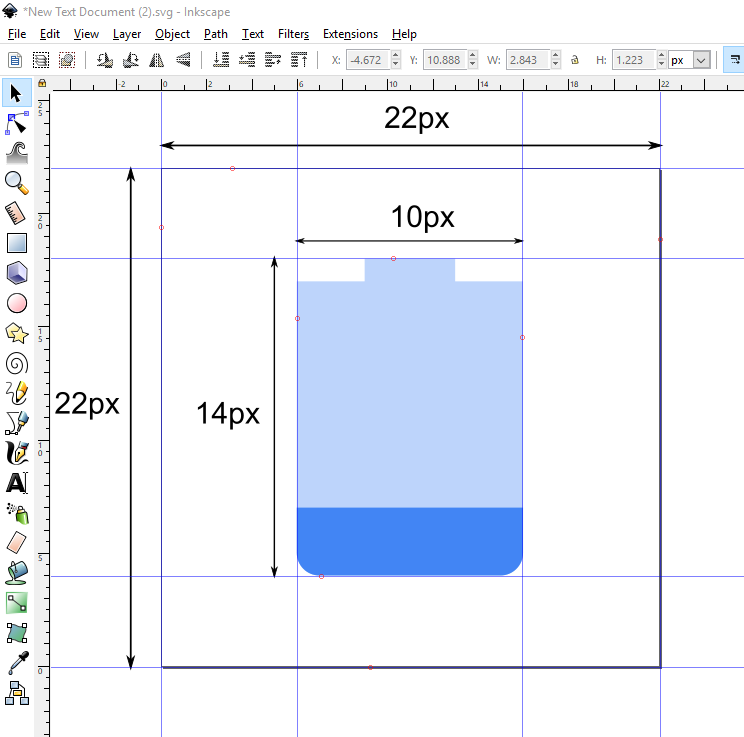 A possible workaround is to create a 22px x 22px square around the page, set the fill and stroke to none, then with the square still selected, switch to the Select and Transform Objects tool (F1), then while holding down the Shift key, also select the top and bottom part of the object, then Group (Ctrl+G). Then when you import it, you will be importing a 22px x 22px invisible square along with the graphic. Not the answer you're looking for? Browse other questions tagged inkscape svg import or ask your own question.